A $480,233 federal grant will propel a three-year, layered approach to school violence prevention and mental health training in Harris County schools through Harris County Department of Education’s Center for Safe and Secure Schools. The two strands of training empower both students and school staff to help them prevent or prepare for school violence like the shooting in Santa Fe, Texas. The U.S. Department of Justice grant award, called Student, Teacher and Officers Prevention (STOP) School Violence Prevention and Mental Health Training program enables adult trainings in active shooter scenarios, threat assessment, the Alert, Lockdown, Inform, Counter, Evacuate (ALICE) programs and Youth Mental Health First Aid. The program provides training for two staff members from each of the 25 Harris County school districts, twice a year. 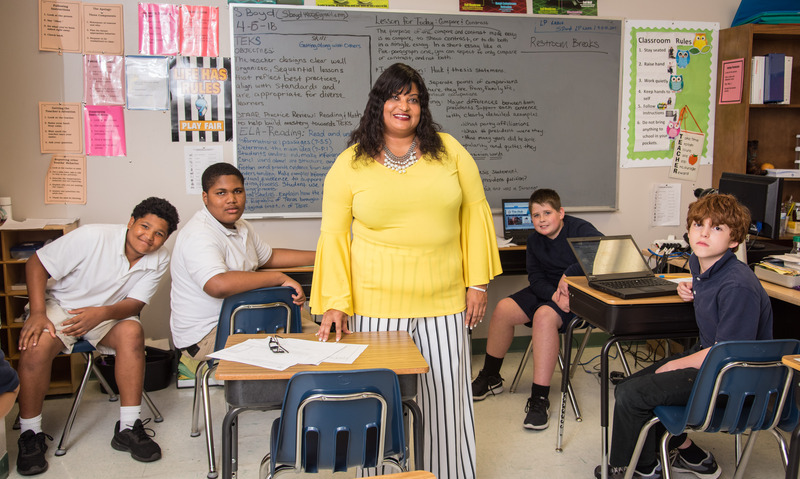 A second strand of the grant trains 9,500 students during its first year of implementation in Harris County school districts. In 2018-2019, 13 intermediate and middle school campuses are included: 10 from Pasadena and three from La Porte independent school districts. During school years 2019-2020 and 2020-2021, an additional 17 schools are added. Burley said this past summer, center officials invited teachers and school personnel and officials from the 25 districts to learn about the grant opportunity. Pasadena and La Porte signed up for year one of the grant. HCDE’s Center for Grants Development secured the three-year grant. Within the application, research showed that of 1.8 million youth in Houston/Harris County, 32 percent of local middle and high school students feel unsafe going to and leaving from school. According to Texas Education Agency databases, 1,168 assaults were reported on campuses across Houston/Harris County during the 2016-2017 school year, along with 136 weapons found. The Center for Safe and Secure Schools plans a menu of school safety workshops for the public throughout the year, including the Human Trafficking Summit on Nov. 13 with Children at Risk. For more information, go to www.hcde-texas.org/register .